A fee simple title is the greatest possible ownership in land. This ownership can potentially last forever and is in no way limited. There are however multiple different types of fee simple estates: fee simple absolute, fee simple determinable, fee simple subject to executory limitation. 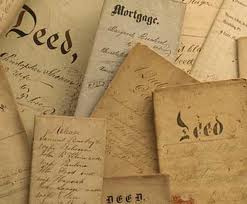 The executor will always hold a future interest in the land unless the deed is changed. A life estate is a deed that will only last for the natural life of an individual. The executor will have a future interest in the land while the land possessor is alive. Once that person is deceased, then the estate reverts back to the executor. The owner never loses his fee simple and future interest. However, while the individual is alive, the owner is not able to treat the land as he normally would. There are important differences between these two types of estates and have a big impact legally on what a person actually owns and the duration of it. However these types of estates often overlap and it is important to consult an experienced attorney. 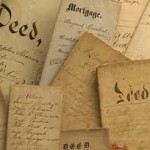 For a free, confidential conversation to discuss this and other Maryland property law matters, including drafting, filing and recording Maryland property deeds for a modest fixed fee, contact Maryland property attorney Stephen J. Reichert at 410-299-4959, sreichert@reichertlegal.com or by clicking here. Stephen looks forward to assisting you with your Maryland estate planning and property law needs.